This CD contains 75 messages by Jim Flanigan. The messages are in MP3 format and can be played on a computer with the relevant software and a soundcard and speakers, a CD player with MP3 capability or copied onto a MP3 player. Click on the link below to see a list of the messages. Scroll down to read a little background information on Jim Flanigan. The CD contents are owned by Tape Teaching and must not be copied, exchanged or altered without the prior consent of Tape Teaching. Jim Flanigan was born in Witham Street, off the Newtownards Road in East Belfast, in Northern Ireland. His parents both got saved in the Iron Hall and were active members. His mother deeply influenced him by constantly singing. She sang about Calvary and the cross in the home. When she sang "That man of Calvary has won my heart from me" Jim often longed to know the man of Calvary for himself. At the age of 8 his mother became ill. During her last stay in hospital the other patients asked her to sing before "lights out". Due to the singing of those hymns in the hospital six professed faith in Christ. She passed away early one morning. Her last words, spoken to her sister, were "look after the boys, I am redeemed". This last word was placed on her headstone. This influenced him greatly. He desired to be saved. After the funeral he attended cottage meetings. After one of these meetings on a Tuesday night he trusted the Saviour. He was told to emphasise the personal pronouns in Isaiah 53:5. He found great comfort and assurance in doing this, reading the verse "He was wounded for my Transgressions, He was bruised for my iniquities. 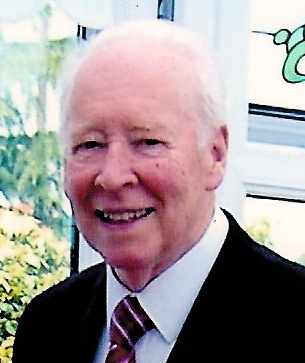 He was received into the Parkgate assembly in Belfast in 1946. He left secular employment in 1972 in order to give more time to serving the Lord.Most of this time has been spent in ministry meetings. Jim Flanigan's ministry has been really sweet concentrating on the person and work of the Lord Jesus Christ. He has travelled widely in the United Kingdom, the United States, Canada, Australia and Israel. He has a special interest in Israel taking tours there on many occasions. He has published a number of books including several volumes of "What the Bible Teaches". He has also published a number of beautiful poems.The one below called "The City Foursquare" is an example. I long to enter there. Thy bliss and brightness share. At rest, at peace, at home. No tear, no ill, no pain. From earth's sad scene away. Gaze on our Saviour's face.